Loa Angeles, California - U.S.A.
--Watercolour style Cherry Blossom Tattoo down entire back and wrapping around ribs on her right side, With her name in Kanji on her left shoulderblade. 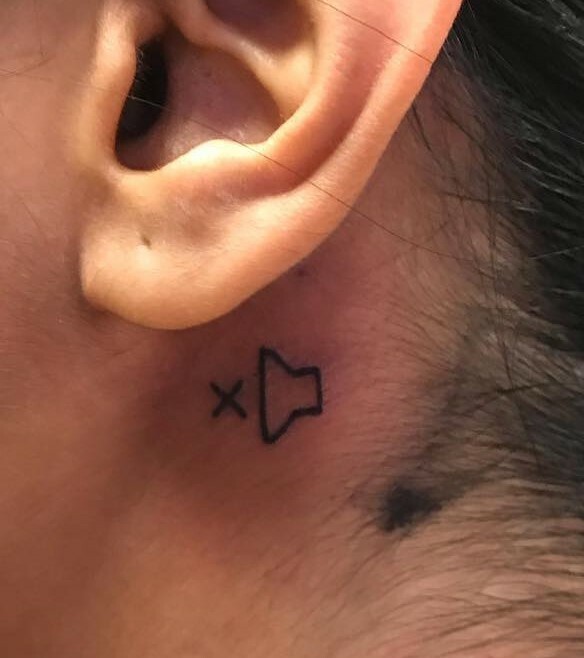 -- "Sound Muted" Symbol Tattoo behind both ears. 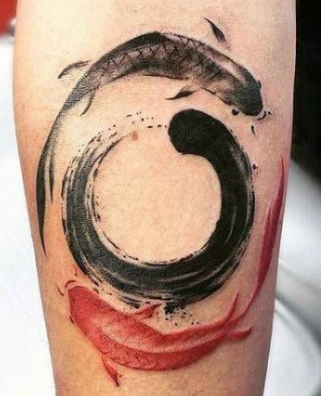 --Swirling Koi Tatoo on her left inner wrist.
" Hakuna your Tatas, Lady." "I'm deaf. Not stupid. Not helpless. Deaf." "Do you always make weird eye contact when you yawn?" Kirika's early life was split between her home with her parents in L.A. and visiting her grandparents in Osaka, Japan. The mixture gave her a unique perspective on the world, and her place in it. She was always a creative child and found interest in the street cultures and art of Las Angeles, though her father warned her away from street gang life, always making the point that theirs was a bloodline of the Yakuza and that petty, disorganised street gangs were not a goal to aspire to. As she grew older she started implementing her love for Japanese cultural art into Street art, using spray paint, tags, and graffiti as an irreverant stepping stone into a mix between the two worlds. Hip hop music and Japanese art from the Edo period both influenced her heavily. Unfortunately as time went on, her hearing started to degrade until by the age of thirteen she had gone completely deaf, and was no longer able to properly hear the music styles that inspired so much of her creativity. It was a serious blow to her self-esteem and she floundered for a short while until her parents enrolled her in a school for the Deaf, where she was able to learn American Sign Language and how to hear the vibrations of beats in music. Having these skills at her disposal made life significantly brighter, and her confidence slowly returned. 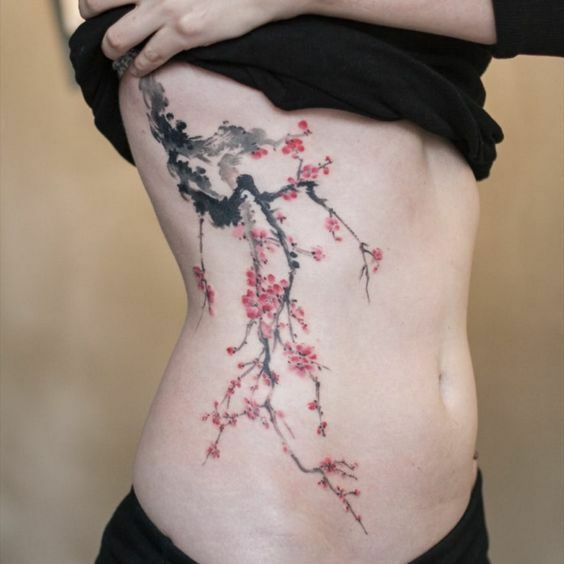 To celebrate the completion of her time at the Academy for the Deaf she chose for her first tattoo to have her back tattooed in the Yakuza style of her bloodline, cherry blossoms down her back and ribs to match the meaning of her name. Her second and third tattoos came later- swirling koi in the yakuza style, and a 'sound muted' tattoo, a reminder to all of what she had succeeded in overcoming. It was a summer trip that brought her and her parents to Chernarus. They had started in Europe and were taking the continental railways through Europe and Asia to China, where they would be boarding a ferry to Japan to see her grandparents, and then taking a plane flight home. She was aboard one of the trains passing through Chernarus to Mainland Asia when the infection hit its peak. Someone on board had somehow contracted the contagion, or perhaps they picked up a passenger who was already infected. However it happened, the train eventually exploded into chaos, separating her from her family. She didn't have a chance to process it before there was a sudden upheaval, the sound of screaming metal on metal, and her world went upside down. Her train had hit another oncoming train, the tracks having not been changed for its course and the passenger train she was on became a twisted heap of burning metal and the screams of the injured and dying. When she came to she was laying in the grass beside the train, the light from fires burning. A man and child lay nearby, the man's eyes pinned on her in helplessness as he choked on his own blood. The boy slowly came to, panicking in the dark of the flames as the man expired. She sat motionless as the light left the man's eyes, a few moments of stillness filling the tiny space between them before his corpse jerked to life with blood thirsty intent, startling her to her feet. The boy who knelt clutching the older man was not so fortunate. Silent visions of blood and atrocities filled her vision as she turned and did her best to run on cut and bloody legs. There were people littered everywhere like paper dolls, some on fire, some pinned beneath their fellow passengers as they tried to maul them. At that moment instinct and adrenaline took over and she scrambled into the forest. Later as she wandered through the woods half-dazed, covered in blood and soot, and extremely dehydrated she had happened upon a man named Julius. He eventually took her under his wing, teaching her survival skills. They became close, like family. She gave up any hope of ever seeing her parents again. Unfortunately, when the hordes passed through the region they became separated, and unable to contact him she wandered. Reunited with Julius, they wander Chernarus, exploring and making a life for themselves. Kirika is a generally calm, yet cheerful person. She alternates between talking a lot and not at all depending on her mood- though when she does speak up she is a font of curiosity, witty quips and barbs, and occasionally streetwise wisdom. Deceptively young and sweet on her exterior, the hardships of life have made her incredibly shrewd and mature. There are very few instances where she makes an emotional attachment to someone, the only exception to date being Julius. She views everyone else through the lens of their usefulness to her, and no further, not at all afraid to use them or her advantages to get what she needs from people. However she is very good at disguising this in the cute and cheerful clothes of youth and the stigma of 'Kawaii' surrounding young japanese girls. She is a pragmatist above all. Hip Hop music and EDM (she can feel the beat really well), sight-seeing, spray paint, Beanies, snapbacks, traveling, sneakers, books, stuffed animals, mythology, hard candy, dogs, gummy bears, sushi, sunshine, Panang Curry, Pork Belly Ramen, Nail polish, cartoons. Reality T.V., Racists, American Football (she often refers to it as 'Hand-Egg'), squash, makeup, boy bands, cowboy hats (unironically), sitting around doing nothing, people who feel like they have to be a hero and 'save' everyone. She can speak fairly well due to only losing her hearing at the age of 13. Two long scars on her legs from the train crash. A zig-zaggy scar on her right hip from getting snagged on a barbed-wire fence. Several tiny scars on her forearms from going head-to-head with zombies for two years. It is gonna be super interesting trying to navigate the world without being able to hear zombies, gunshots, or people shouting commands. Wish me luck lmao!